We collaborated with an amazing, business-savvy woman named Merlin to create our collection of marble goods. 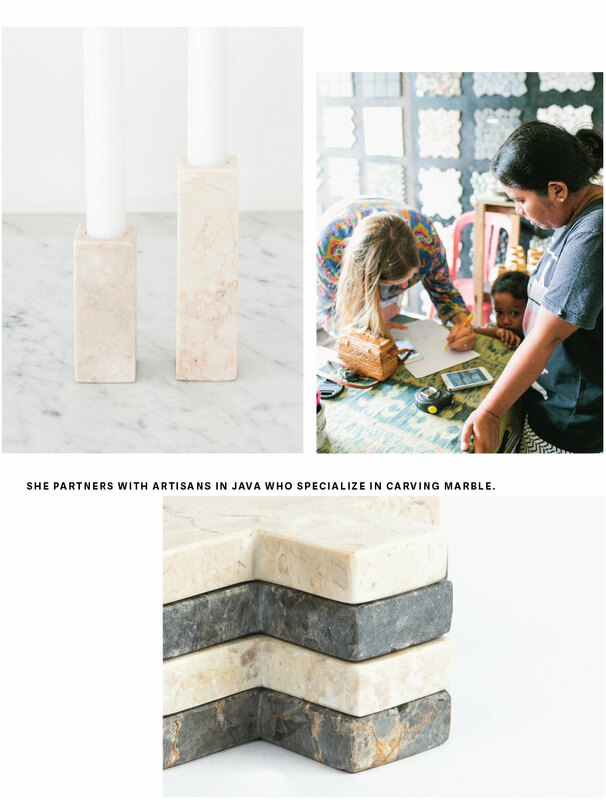 Her shop, The Laris Shop, partners with artisans in Java who specialize in marble. Our designer, Kallie, wandered into a little shop called The Laris Shop in Bali and started chatting with the owner, Merlin. Kallie learned she’s from the island of Sumba, and came to Bali to open up her shop so she could support her two children. Kallie told her about 31 Bits and showed her some sketches of marble products she was dreaming up. Merlin specializes in marble tile, but knew the artisans she works with are capable of so much more! She took the sketches back to her artisan partners in Java, and created a set of samples. They were perfect! 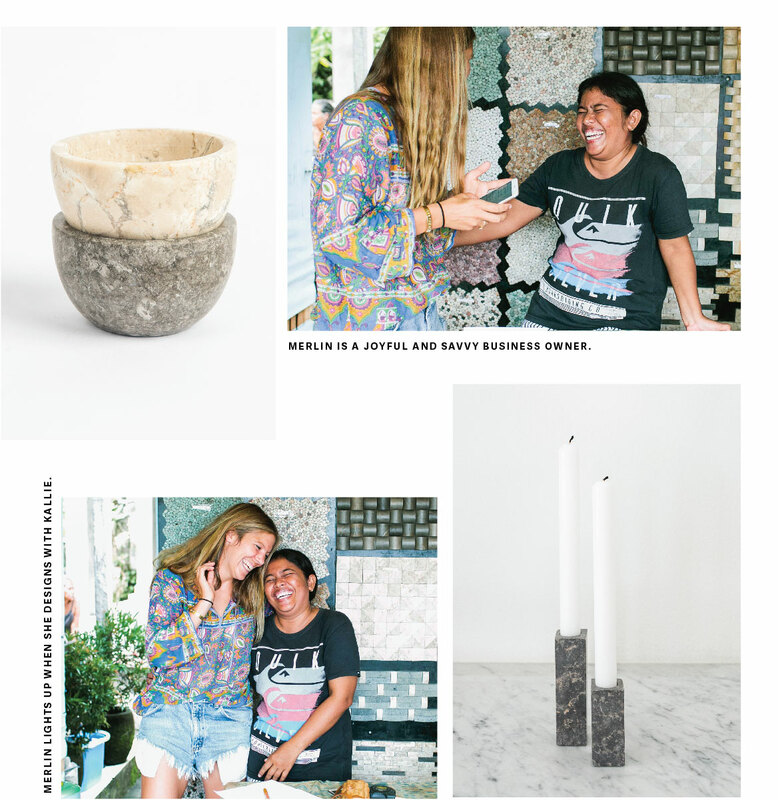 Kallie and Merlin started designing together and created a beautiful line of marble decor for 31 Bits. She gave Kallie the nickname “sis” and the two have formed an amazing friendship centered on creativity, design, and lots of joking around.